Do you want a way to include key donors in your Live Auction who aren’t able to attend your event? Even with the best planning and advanced notice, there will always be times when key donors have other commitments and can’t make it to your fundraiser. Whether you are providing mobile bidding for your silent auction or using traditional paper bid sheets, you can extend the opportunity to bid at your live auction as well. You can recapture this lost opportunity by providing proxy bidders for these donors. Not only will you give your guests a chance to participate, you can provide a special “VIP” experience that will keep them coming back and hopefully, next time, in the room for your next event. You’ll want to provide your ‘remote’ guests with all the information they need to participate in the live auction, but you also want to make sure you are able to control access to that information. The best way to do this is with a web page that only they can see. Tip:Greater Giving’s Online Payments makes it easy to create a proxy bidding page—most of this work is done for you. Create a private web page that’s hidden from search engines. Your website Content Management System may allow you to do this automatically. If not, use the META Robots method <meta name="robots" content="noindex, nofollow"> or one of these other options. Send this special link to the specific people you want to have access to it. Live Auction packages tend to be your big ticket items, so it’s best to make this opportunity available only to the donors you trust most. Clearly state that by participating in the auction, guests are committing to purchase the packages where they are the highest bidder. This could simply be added to your general Auction Rules on the hidden web page. List the Live Auction packages that are available for proxy bidding. 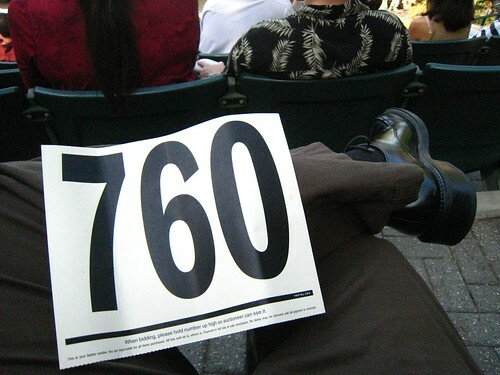 Decide ahead of time whether to offer the entire auction catalog or just a select few items. Some packages may not be suitable for remote bidding or you may just want to limit the number available. Certain terms and conditions can make or break a deal, it’s best to know this ahead of time. And, pictures are worth a thousand words so include them to entice your guests to bid for that magical vacation, that rare chance of a lifetime experience, or maybe that sparkly piece of jewelry that will have many swooning. Remote guests should provide their contact information – name, phone number, email address for any follow up questions. Additionally, make sure you have gathered the max amount remote bidders are willing to bid to ensure the proxy bidder stays within the agreed upon amount. This makes it easier for both of you and ensures that all sales are covered with a form of payment. This could actually be another opportunity to raise a paddle in the room for those high donations coming in from remote guests. The remote guest’s bidder number. Which packages the guest has selected for bidding. The maximum amount to bid on each package. Don’t forget to give your proxy bidders a live bid card or paddle so they can raise it high during the special appeal. By providing a way for your guests to participate in your fundraiser even if they can’t attend in person, you help them feel connected to your cause. By providing personalized service, you make it easier for them to engage and contribute—and keep coming back. What are your experiences with proxy bidding? Do you have any tips to share? We’d love to hear from you in the comments below.